This document is aimed at developers and system administrators who wish to run an instance of Interlok inside a SonicMQ container. You will be instructed on how to build a deployable package (car file) which can be deployed into a SonicMQ container and finally you'll be shown the various configuration options. It is assumed you will have sufficient knowledge of SonicMQ and basic configuration. The following documentation has been created and tested for SonicMQ versions 7.6, 8.5, 2013 and 2015. Interlok requires a minimum JVM version of 1.7. SonicMQ version 8.5 and earlier may be running with Java 1.6. In this case you will need a separate install of Java 1.7 on the SonicMQ host machine. You can download the required files from either then snapshot repository or the release repository. SonicMQ provides a java container for which you may run your own programs. Adaptris has used this functionality to run instances of Interlok. SonicMQ requires a package called a CAR file which can deployed directly into a SonicMQ container. Component archive files (CAR) are essentially bundles much like jar files. They contain the standard jar file manifest file as well as a Sonic descriptor file - similar to the OSGI bundle descriptor. We have provided a utility program called the “CAR builder” to create a CAR file from your Interlok version 3.x installation. Please contact Adaptris support for a copy of this tool. 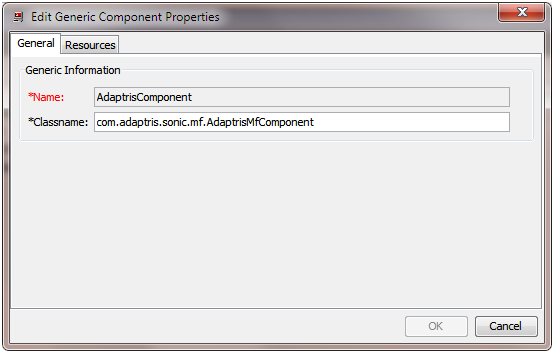 The Adaptris CAR builder requires apache-ant version 1.8.3+ and optionally an installation of Interlok 3.x. Inside the directory containing the CAR builder tool, take a copy of the build.properties.template file and save it as build.properties. car.pack200 true Whether to apply pack200 compression to reduce CAR file size. 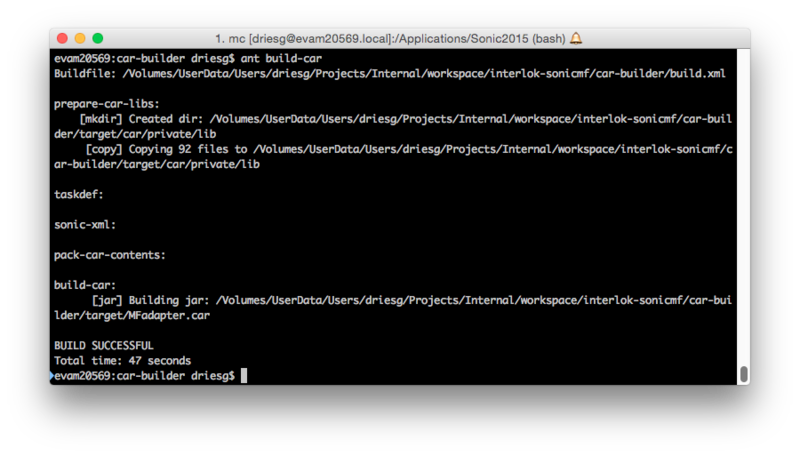 If you already have an Interlok installation you want to package, set the interlok.lib property to the lib directory in that installation. If you don’t have Interlok yet there is no need to change anything other than interlok.version to download the version you want. Once the CAR builder has completed you will find a new CAR file in the ‘target’ directory of the CAR builder installation. The Interlok CAR file can be quite large in size depending on the number and size of 3rd party libraries required to run your Interlok configuration. For Interlok to function, you will need to upload both the Interlok configuration file and the license file into the sonicfs. To do so is very simple. 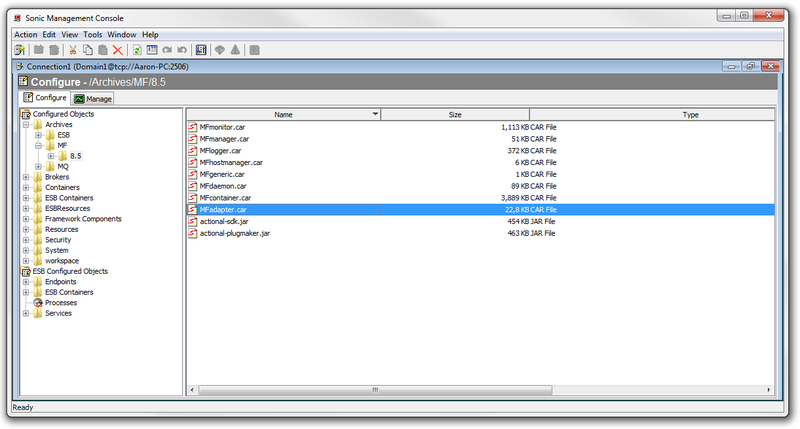 With sonic management console, on the ‘configure’ tab, create a directory in the ‘System’ folder. Then right click in the empty pane on the right hand side and import your configuration and license file. We will be referring to them in the next section. You can specify either bootstrap.properties.url (since version 3.0.1) or you can specify the individual settings in their respective deployment properties. Please see the documentation about bootstrap.properties for the meanings of these settings. Should you choose to upload your bootstrap.properties into the sonicfs, you may also want to make sure the file resources within the bootstrap.properties also reference files in sonicfs. The main reason for using the bootstrap.properties.url deployment parameter above the previous method would be to be able to have the full leverage of pre-processors and custom parameters within the bootstrap.properties. This will allow variables in your adapter.xml to be resolved from xinclude, a file called environment.properties, Java system properties, environment variables and Sonic deployment parameters. Most native libraries may not work as expected while being bundled into a CAR file to then be installed into a sonic component/container. Therefore we suggest you always make sure your third party native libraries be installed as instructed in their documentation outside of the Sonic container. You may then add these dependencies into the component or container through the sonic management consoles configuration. 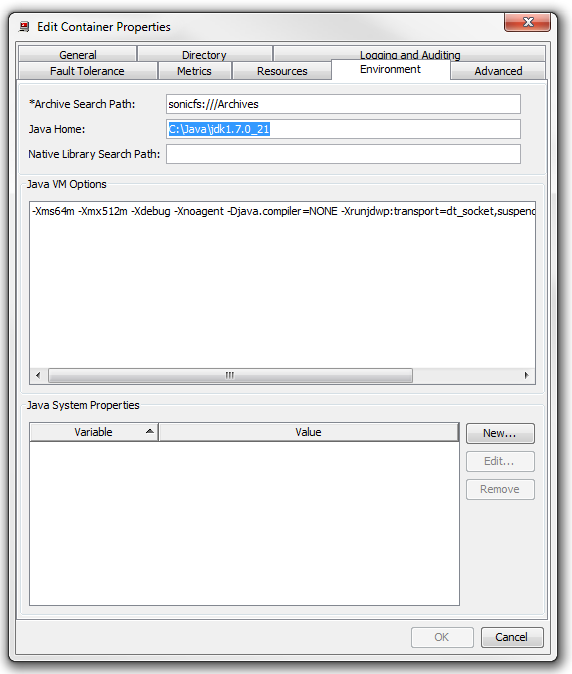 One of the standard deployment parameters that can be enabled is jmxserviceurl. In order to expose the standard Adapter JMX controls (e.g. starting / stopping individual channels); add jmxserviceurl as a deployment parameter and put in service:jmx:jmxmp://localhost:5555. Choose your own port number as required. This means that the same JMX controls will be exposed as when running as a standalone process. Once enabled you can connect to it via jconsole (if the jmxremote*.jars are in the classpath) with the specified jmx service url or via the Interlok Web UI.